My accessories and home goods are flying off the shelves and alongside I'm showing some new small embroideries. 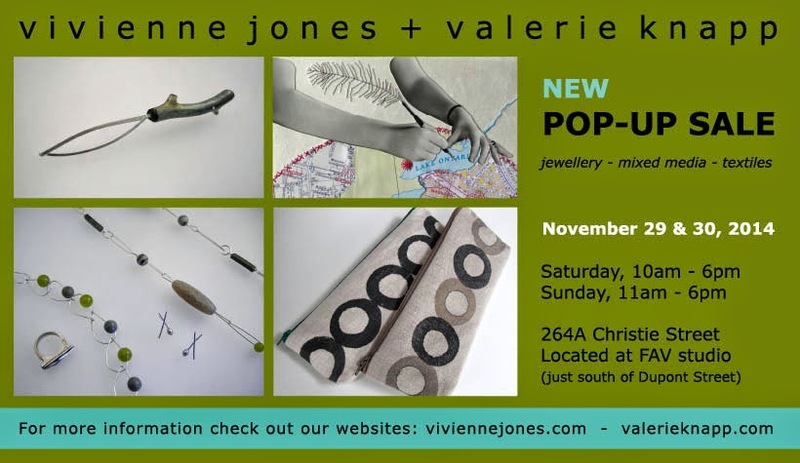 Also, just opened, the Holiday Pop Up Shop at the Craft Ontario Gallery (formerly the OCC) at 990 Queen St West. It's awesome to be included again this year amongst an amazing range of work by 48 makers. Check it out. Next weekend I'm showing in Hamilton at Elizabete Ludviks Annual Studio Sale, with Andrea Piller, Lauris Milbrets and Erna de Vries.